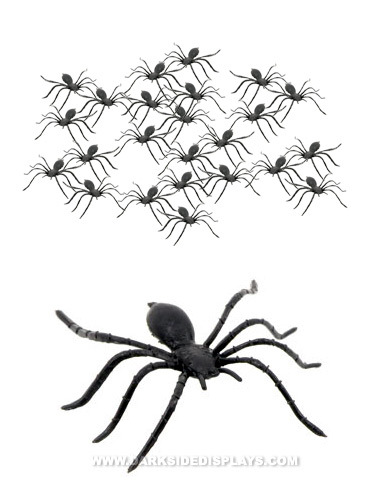 Add these plastic spiders to table tops, entryways, and of course those Halloween trick or treat bags. Everyone gets uneasy with spiders, so they are the perfect unsettling accent for your creepy display. Plastic spiders are approx. 2"W. 72 ct.